Insight, strong creative ideas and vision are at the heart of our approach. 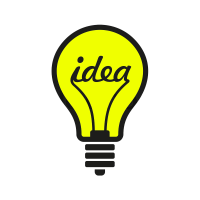 We can help you grow your idea or we can develop a compelling creative for you based on some great insight. Seefood are therefore are a highly creative Video Production company. We love nothing more than developing strong creative for your TV or online spot and telling a great story in the most beautiful, powerful and engaging way possible online. We believe in telling powerful stories with integrity backed by the best insight and as a result have been creating award-winning videos for over 15 years for Brands and Charities. Our team come from a creative background and have written creative for many agencies, brands and charities over the years. With our story telling background in both documentary for TV and films for cinema we can bring our experience to telling your story. We like to lend that experience bringing you the best not only in terms of technical production but and the most engaging and innovative ways to explore your narrative or communication. We believe ‘Insight’ is still is the key to developing a winning idea and that has not changed since original ‘Mad Man’ Bill Bernbach said. How do you know our thinking is any good? It’s a very fair and wise question to ask. So far we have proved our thinking receiving excellent testimonials from clients like Virgin and often we find the films and videos that we write the creative for are the one that win awards. The only way is to try us out and see how we do. We are able to work seamlessly with your in-house creative team and also offer our team in-house to work alongside you if you do not have the in-house skills or support needed. Our extensive pool of industry-leading freelance professionals working in film, TV and advertising from the UK, Europe, and Ukraine to India and China means that whatever your film or video needs Seefood can deliver at the highest level. Get in touch or ask for help? We enjoy getting involved in the creative process before even the project has been green-lit. We can help you develop it to a stage where it can be agreed internally or help you win your big pitch. © 2019 Seefood Film and Video All Rights Reserved.